Snow leopards are sparsely distributed across 12 countries in central Asia. They are found in high, rugged mountain landscapes at heights of over 3,000 metres. Although not a particularly large big cat, snow leopards are very successful predators, able to kill prey up to three times their own weight. 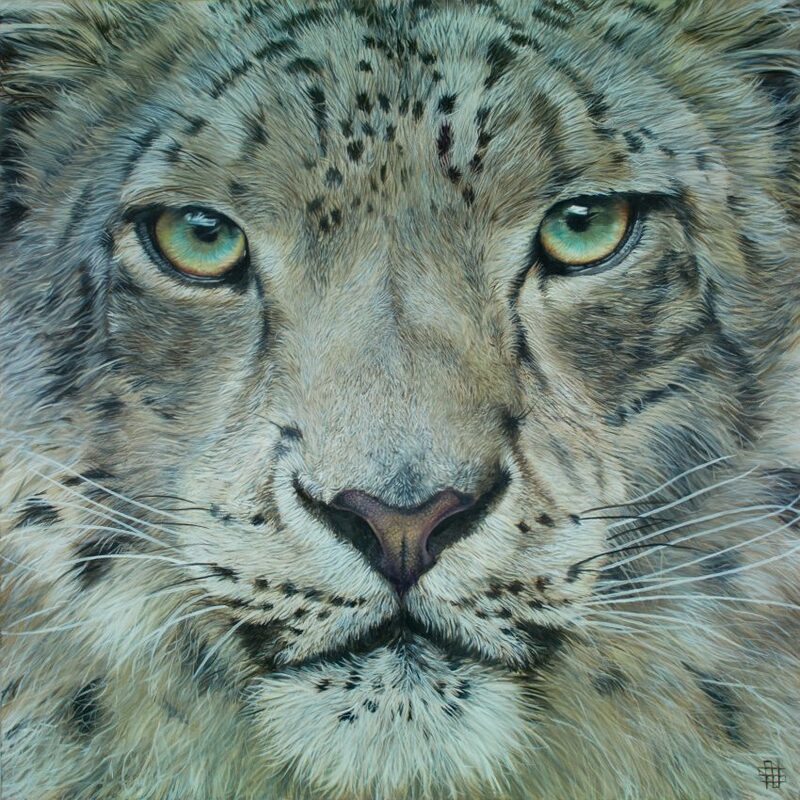 Snow leopards are solitary creatures, they have thick fur to protect them in the extreme cold. Their tails are as long as their bodies and are used to maintain balance over precarious terrain. Also, the tails are very thick and furry and act as a muffler to shield its nose and mouth in the very harsh climate. It is difficult to estimate exact numbers in the wild because snow leopards are very elusive. However, they are thought to have declined by at least 20% in under two decades. They are endangered from poaching and climate change. Snow leopards are top predators In their environment. Their favourite prey are mountain sheep and goats. Without the snow leopard these herbivores would overgraze the sparse mountain plants, leaving no food for other wildlife. The many people who live in the same area, depend on their environment for food and medicine and wood for shelter, heat and fuel. By protecting the snow leopard, the delicate balance of these areas is also protected together with the people who rely on it.